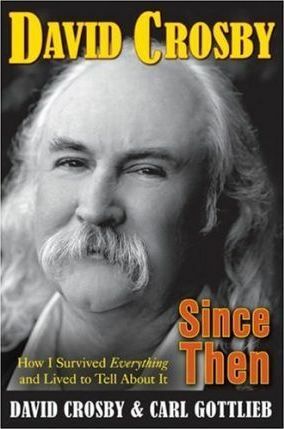 David Crosby, the outspoken founding member of CSNY and The Byrds, turns his wry and unstinting eye to a fascinating, prickly subject: himself. Known to millions as the trickster poster boy for folkrock utopia and the inspiration for Dennis Hopper's wild-eyed antihero in the film Easy Rider, David Crosby is every bit the quintessential American icon of the counterculture today that he was in the sixties and seventies. Legendary, controversial, beloved, he is never far from the headlines, as the upcoming (Summer 2006) 50-city reunion tour of Crosby, Stills, Nash & Young will demonstrate once again. Since Then is both a self-skewering look at the twists and turns of an impossibly rich life, and Crosby's confident declaration that it's far too soon for him to don the robe and slippers of Generational Elder. As a two-time inductee into the Rock and Roll Hall of Fame, he has an unparalleled legacy as a singer, songwriter, and musician-and few would object if he were to rest on his laurels. Yet despite Crosby's history of extravagant excess, he's never forgotten his great good fortune, and has never stopped using his enormous gifts in service of both his art and social causes to which he is committed. This memoir shows the contradictory aspects to a personality whose truth-to-power outspokenness, exuberance, and creativity have made him a great and inspirational artist, yet whose struggles with private demons have resulted in arrests, chronic health issues, and ruined friendships. It discusses frankly the people and events that have drastically altered his definition of "family": raising ten-year-old son Django, with lover/wife/partner, Jan; reuniting with his adult son, musician James Raymond, while Crosby waited in the hospital for a life-saving liver transplant; becoming sperm donor to Melissa Etheridge and Julie Cypher. Above all, it illuminates how, despite a staggering series of personal setbacks-including hepatitis C, liver failure, diabetes, heart attacks, and a crippling motorcycle accident-the music, and the people he loves, keep him young at heart.